Description: You don't think this is the last you'll see of me, do you? The Chairman you just defeated is another clone! Ahahahahah! - Chairman Platinum. 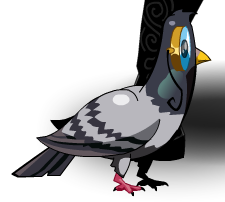 Note: Previously called "Waldo the Pigeon". Thanks to Draco Dragonoid and Shal.